This is such a cool idea. I’m thinking I would do a smaller version and use a black background but I am so giving this a try! 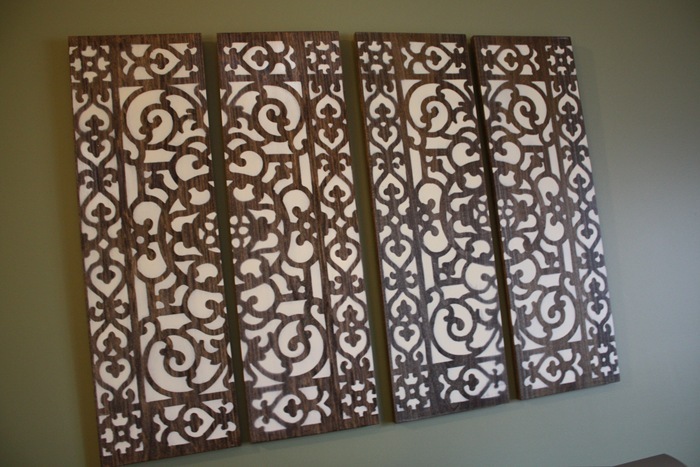 Chris, Erin and Jayce: DIY Wall Art. When I saw this entry I thought, are you kidding me! Why didn’t I think of that. So cute, so simple, so out of the box and so something I’m gonna do. I’ve been looking for inexpensive but unusual pillows for our bedroom for. . .well, a long time. Love it! Centsational Girl » Blog Archive » Fuzzy Pillows from a Surprising Source. I might be able to actually do this. So cool and there is always a need for displaying books. 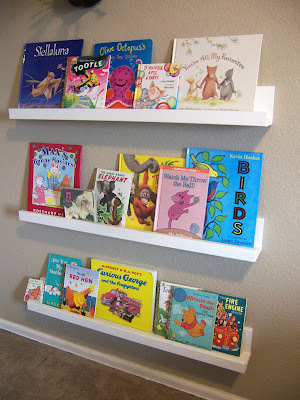 Frugal Home Design: $20 DIY Book Display-4 Shelves.